McLarty Daniel is proud to be a full-service automotive solution serving Northwest Arkansas with locations in Bentonville, AR and Springdale, AR. With over 3,000 new and used vehicles on our lots at any given moment, our customer service award-winning sales departments are provisioned with all the tools that the modern customer needs to make a smart buying decision. 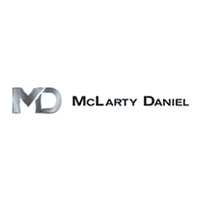 McLarty Daniel uses market based pricing, meaning you never have to worry about missing out on a great deal! Likewise, most of our used car inventory comes certified with the complimentary McLarty Daniel Preowned Advantage: a 7 year, 200,000 mile powertrain warranty provided at no cost. Check out our inventory today for your next ride. Take the hassle out of your next standard maintenance on your vehicle at any of our conveniently-located full-service repair centers. We work on all makes and models and have competitive pricing: don’t risk a repair from an independent vendor when you can have it done at the dealership with the peace of mind that warrantied repairs brings! Our full spectrum collision center – located at Don Tyson and Thompson in Springdale, AR – has the ability to repair anything from a minor ding to a major collision. We work on all makes and models and can handle any repair, no matter the size. With our state-of-the-art down draft bake paint booth and our preferred vendor status with most major insurance companies, it just makes sense: come to McLarty Daniel and we will get you back on the road.